Most probably we notice that all those men and women working for 9-5 job or official job, usually seems more tired than those who really work their sweat out. It’s probably because of exhausting workload they face or maybe work pressure which makes them dull and tired by the end of the day. Actually, the truth is that it is not their work which stresses them, its just the chair where they sit on and work for hours. According to some research, it has proven that those who work inside an office sitting continuously gets health issues. This is because of their working style and environment. Normally working like this we face a little strain on our spine. To improve and to make the working environment healthier and better, there are certain alternatives to make working in a chair interesting. Our work station, is a place where our creative work should not get affected by other outside elements such as spine pain or discomfort. To eliminate such discomfort during work, one must think of following elements before opting a healthy office chair. To avoid back strain or pain during work, one should sit very straight near to the desk and place their elbow in a straight angle resting their hands on the desk. This will help to sit comfortably without any pain but it’s not possible to sit for hours in such angle. If we consider sitting according to the above mention direction, then these back pains during work will be released easily. While sitting on a chair there should be a comfortable gap between your chair and the desk. This helps us to move comfortably. If there is any kind of problem while sitting, then one can surely adjust their chair according to their wish. For those who are really tall, these uncomfortable situations can cause a problem. After sitting on a chair we lean on its back support to enjoy the view or work. As human nature goes, we never sit straight on a chair. We tend to keep bending ourselves. To avoid that, one can keep a cushion or pillow behind their back so that the back won’t be sprained or affected. By keeping cushion or a pillow at the back gives a small curve to protect our back from spine problems. Once we sit on a chair we bend our knees and take our seat. After seating ourselves, there should be a comfortable gap between an end of the chair and the back of the knees. If there is any problem placing our knees, then we can adjust a chair for our comfort. But its best to maintain a certain gap between the front of the chair with the back of the knees. As mentioned earlier, one has to sit straight, leaning towards back support and our arms should be parallel to our back. Then can rest our arms over the hands of a chair to make ourselves comfortable. Arms should always be straight while working on the computer or anything just to avoid pain or damage. After positioning yourself properly, we need to see and work on our workstation. To do that, our visibility, distance from a chair and the desk should be measured accurately. It should not affect our eyesight. And then make sure that the visibility is clear and great. A perfect calculated distance between a chair and the desks will maintain a healthy working stability. 3. When back starts paining, one should stand for a while and stretch a bit. 4. Stretching can helps reduction of muscle catch and sprain. 5. Even can walk for 5-10 minutes to avoid that back pain. It allows blood flow, which results as in pain relief. 6. One can use adjustable chairs to stretch themselves. By moving chairs back and front, one can reduce muscle or back pain. Recent changes in our corporate system made some remarkable change in our working environment. The change made to consider the comfort of an employer or employee. And following are some alternative things for such healthy change. Kneeling chair can be used for a temporary basis as a quick break kind. As sitting in a chair for hours can affect our hip and back very badly. So it is always better to take a quick break from that chair and one can use this kneeling chair as a temporary option. It works as muscle relief, on kneeling on a chair can help us to stretch muscle catch. This can not used as a long term option. By using stools instead of chairs will make us feel flexible enough to move around. These stools can be carried everywhere without any problem. By taking a break from chair will give us a change from the same old seating arrangement. It always feels better to make some change. We have seen in restaurants or bars or cafes, there will be a table as half as of our height. This kind of table or desk helps us to be comfortable even while we are standing. Similarly, these kind of desk can be used in an office premises for official work. This will help us straighten ourself better and will also be active while working on it. Normally in the gym or at home, we use balance ball or exercise ball to tone our body. It also maintains balance in our body and also works on our flexibility. These balance ball chair or exercise ball chair will be super bouncy and very comfortable. As there won’t be any back support on this ball chair, one can feel flexible on it. And also can be super airy and soft. Walking desk or treadmill desk is also being used in the gyms or at home. It seems as a treadmill where we run or walk in the gym. But it’s slightly different than treadmills, treadmill desk have attached desk over treadmill machine. This helps employees to work on their duties as well as on their health. On top of the treadmill a desk has been attached and these treadmill desks can be kept folded. Sometimes sitting on a chair can be exhausting. At that time we give our self a change from those chairs by sitting stools. Stools are one kind of chair without any back support. There are certain new chairs evolved from these chairs and they are balanced stools. These balance stools can move front and back, according to the movement. These balanced chairs are extremely comfortable and refreshing from those old style chairs. It seems very similar to the balance ball chair, but the main difference would be that it is immovable. Balance balls can move around, but these ball stand chairs cannot as a ball. It looks similar to the balance ball, but it is different than that. The Ball stand chair has a stand with four legs like chairs which holds the oval shape above of that stand. These saddle seat chairs look very familiar to the cycle seats. The main difference would be that it’s adjustable. It can adjust its height according to the comfortability of a person who sits on it. It creates a gap between thighs, which helps in relaxing our legs and thighs in a better way. It comforts hip portion and this supports our back from any kind of pain or damage. Swoppers are another kind of stools which helps us adjust its bouncy affects. As normal chairs go, these swoppers can adjust its seating ability and also adjusts its bouncing ability. Sometime it seems little irritating to bounce all the time, but to use as stress busters these swoppers are helpful. By sitting on these swoppers one can feel small waves of bounce, which help to release stress from our body. It can be used on a temporary basis. It’s also one of kind of stools with less padding. It’s portable and very light weighted stool. It is designed to be a two in one kind as the desk chair. It can be used as a chair and the desk as well. As mentioned earlier, these stools are designed without any back support which will help us move very flexibly. It’s designed, taking in mind to comfort people sitting on them. Its upper portion made of round padded cushions. Standing desk is made to work on them without any seating options but to complement standing desk, adjustable stools are designed. These adjustable stools can maintain a minimum height of standing desks. It is designed with an adjustable handle to maintain certain height. Also, these work as a chair desk. As its feature seems, it has features of a chair and the desk. These stepper desks are similar as treadmill desks. These stepper was also used in the gym. These features a stepper along with the table attached to it. It can be kept folded. It also functions as treadmill, but its only helpful for walking fast and slow. This helps us improve health and refreshes mind. But it’s not so suitable for an office environments as it creates concentration problem while working. Cushioned wheel chair creates a very fun element to it. It’s like wearing skates, one can move around without any problems. These chairs are very adjustable and comfortable. It has adjustable handle to maintain certain height. It’s designed with padded and cushion material. It gives very comforting and relaxing feel in an office to work better. The Roller desk chair seems as exercise chair, but it is more fun to be seated. 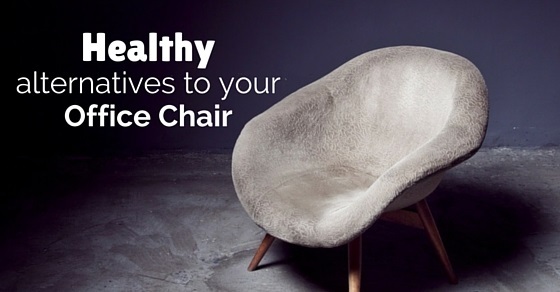 It also has a furry feel of it, so that the person sitting on it will feel better comfort. It may also feel a bit distracting in an office premises. But it can be used as a temporary stress releasing solution in an office. It’s a very good way to avoid such back pain or damage. This is a low cost solution for the company, where an employee can discuss any deal or proposal while walking around in an office or outside. This will help us to improve our health and also helps to understand a client better. This idea can never go wrong and it can be maintained for a long term of period. To end this discussion, I would state that because of changes or updated corporate systems these kind of changes have been made. Now in every office an employee and employer both have equal right and stability. Constant motivational activities have been conducted at these offices to encourage all the employees. Adding to that to encourage working in the office premises, companies taking steps to incorporate alternatives to release work pressure and also to motivate them to work harder without much stress. By using these above mentioned alternative office chairs, a company can earn better profits with the help of energetic employees.